A Fun Way to Swap in More Veggies. Our Veggie Tots are filled with cauliflower, not potato and are a great alternative to potato tots & fries. No artificial flavors or preservatives. 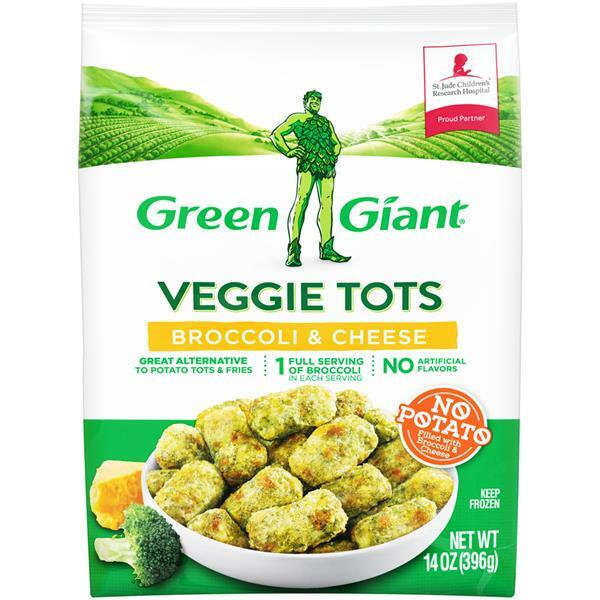 Conventional Oven• Preheat oven to 450degF.• Arrange frozen Green Giant® Veggie Tots in single layer on a large baking sheet.• Bake 15 to 18 minutes or until golden and crisp.Appliances vary. Adjust cooking times as needed. Microwave oven not recommended. 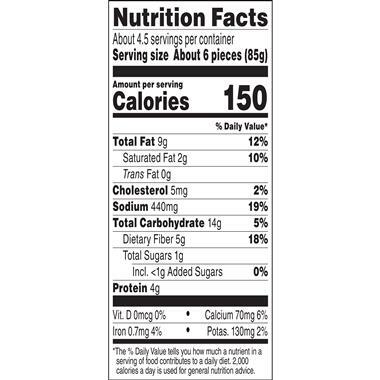 Broccoli, Soybean Oil, Modified Food Starch, Water, Cheddar Cheese (Milk, Cheese Cultures, Salt, Enzymes), Cornstarch, Contains Less than 2% of Artificial Color, Baking Soda, Citric Acid, Dextrin, Dextrose, Dried Eggs, Enriched Flour (Wheat Flour, Niacin, Reduced Iron, Thiamin Mononitrate, Riboflavin, Folic Acid), Garlic Powder, Methylcellulose, Milk Fat, Onion Powder, Rice Flour, Salt, Sodium Acid Pyrophosphate, Sodium Alginate, Sodium Hexametaphosphate, Sodium Phosphate, Soy Flour, Spices, Sugar, Wheat Gluten, Wheat Starch, Whey, Xanthan Gum, Yellow Corn Flour. Contains egg, milk, soy, wheat.